From Philipe Jacques of PJ Production come some very nice kits! 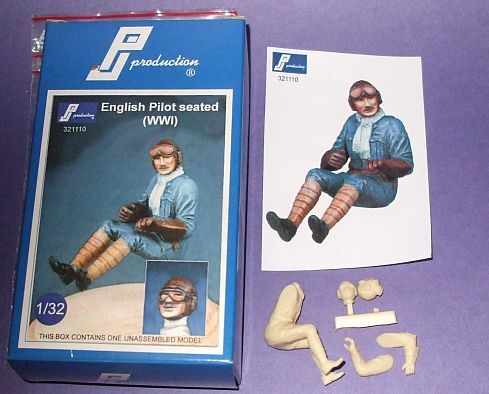 This selection includes: German Pilot seated (WWI) in 1/32 scale (kit #321109), English Pilot seated (WWI) in 1/32 scale (kit #32110), Grumman Panther F9F-2KD Conversion in 1/48 scale (kit #481206), Hawker Hunter T.7/T.8/T.68 Conversion in 1/72 scale (kit #721207) and Gloster Meteor F8 Force Aeriene Belge (Belgian Air Force) in 1/72 (kit #721006). 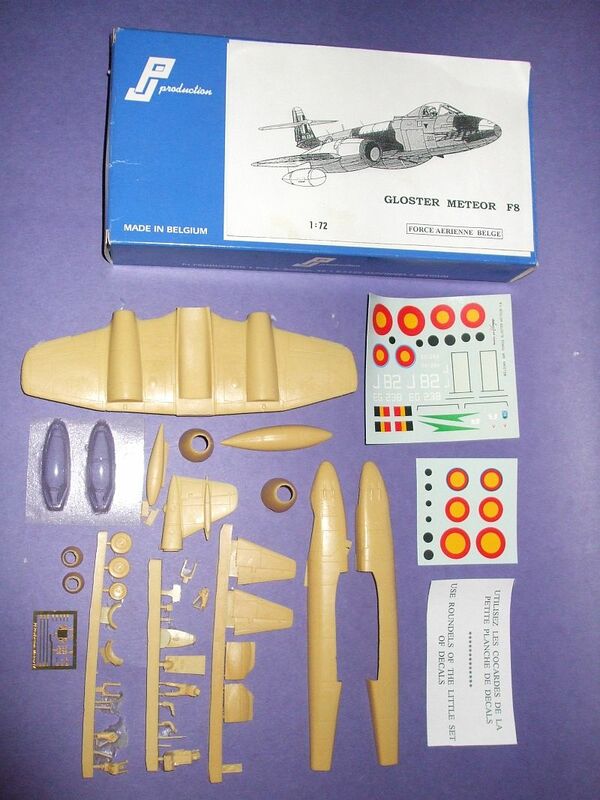 Note: The Gloster Meteor F8 is no longer available, but we use it here to demonstrate the quality of the kits. For this article we will focus on the Gloster Meteor F8 and German and British seated pilots. This is mainly because, at the moment, we do not have a Grumman Panter F9F-2KD or Hawker Hunter to use the conversion kits on. 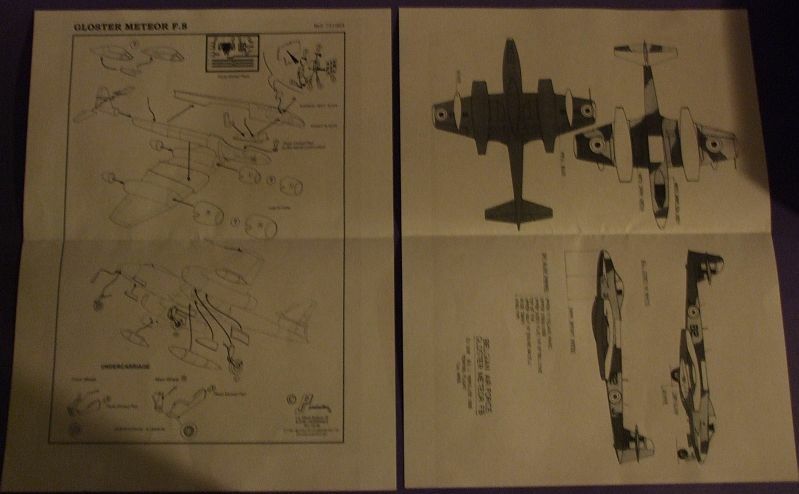 As you can see the parts are very well detailed, the instructions are well written and illustrated and the color guide is very clear and organized. 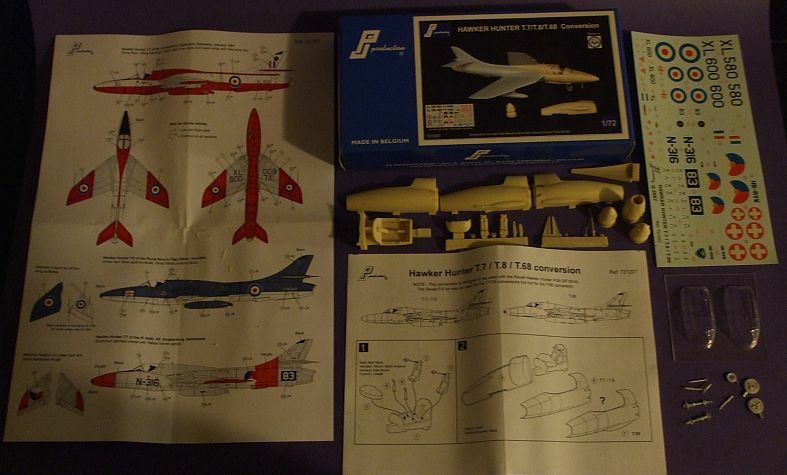 As we progress with this article we will be doing a step-by-step approach for each kit. 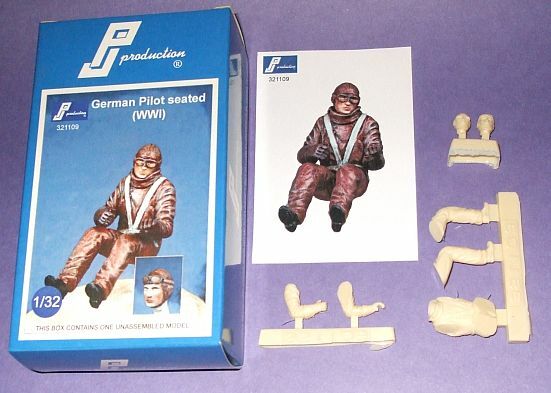 The figures are excellent and offer a very realistic basis for pilots to man you 1/32 scale models of vintage WWI aircraft. Parts are formed well, with very nice paint guides and will require minimal effort to assemble. However, the paint job will be up to the modeller as to how detailed it can become. Again, as we work on each figure, we will follow up with a step-by-step approach. In each kit the resin parts are packed safely in a plastic, resealable bag with photo-etched details enclosed in a separate bag. Decals are of good quality and the instructions, which used to be in black and white, now come in color! They are written very clearly and precise. 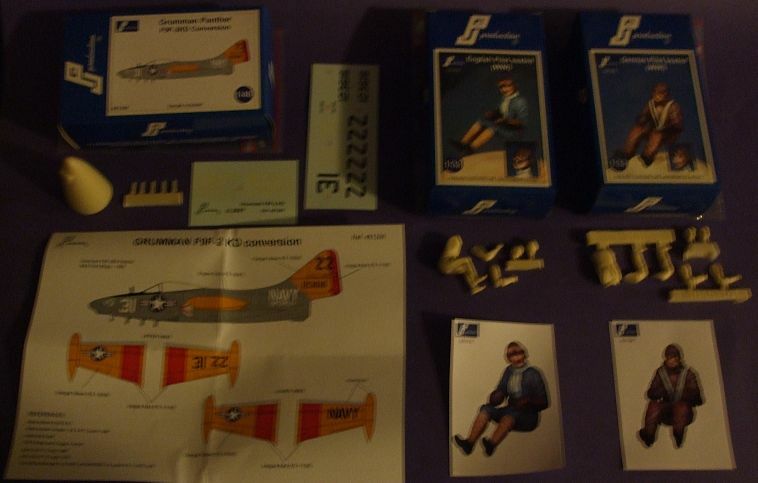 Please visit PJ Production at: www.pjproduction.net to see their fine selection, especially in pilots from various periods in diverse scales! In compliance with the new FTC regulations all of the donated kits reviewed have been purchased by IRMA. International Resin Modellers Association 5075 West Shearer Road Coleman, Michigan 48618 U.S.A.